If you automatic transmission is acting erratically, may it be shifting too hard, shifting too late, shifting too early, etc. try the diagnostic to isolate the problem. The diagnostic, like the main computer diagnostic, may show an error code if it reads a sensor or circuit that is not within factory specs. If the problem is mechanical, the diagnostic won't show it. If it's electrical, then the diagnostic gives a general idea where to start looking to correct the performance. 1. Have the engine at normal operating temperature, in P with the overdrive switch on. 2. Start engine. The AT light (1.) should go out after 2 sec. 5. Set overdrive switch to OFF. 6. Wait 2 seconds and turn ignition switch ON. 7. Wait 2 seconds and move selector to 2. 8. Set overdrive switch to ON. 9. Move selector to 1. 10. 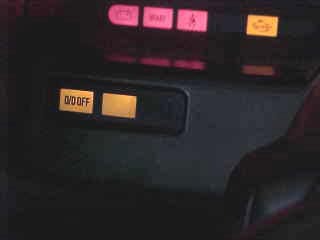 Set overdrive switch to OFF. 11. Depress accelerator pedal fully and release it. 12. The codes will begin to flash. There�s one long flash that signifies the start of the sequence. Following should be 10 short flashes. Then it repeats. 1. All 10 flashes the same = No error codes detected. 1st flash longer than others = Revolution sensor is shorted or disconnected. 2nd flash longer than others = Speed sensor circuit is shorted or disconnected. 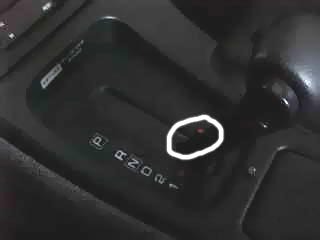 3rd flash longer than others = Throttle sensor circuit is shorted or disconnected. 8th flash longer than others = Fluid temperature sensor is disconnected or A/T control unit power source circuit is damaged. All the same with no long start flash = Battery low, been disconnected, or control unit has just been reconnected.